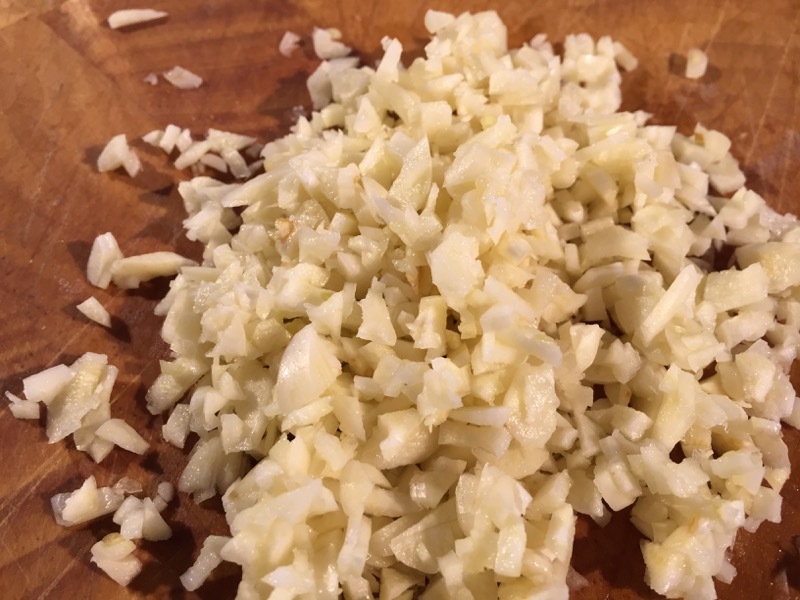 Does anyone really need a recipe for Garlic Bread? Well, apparently they do, or at least they did back in 1997 when the book was published. 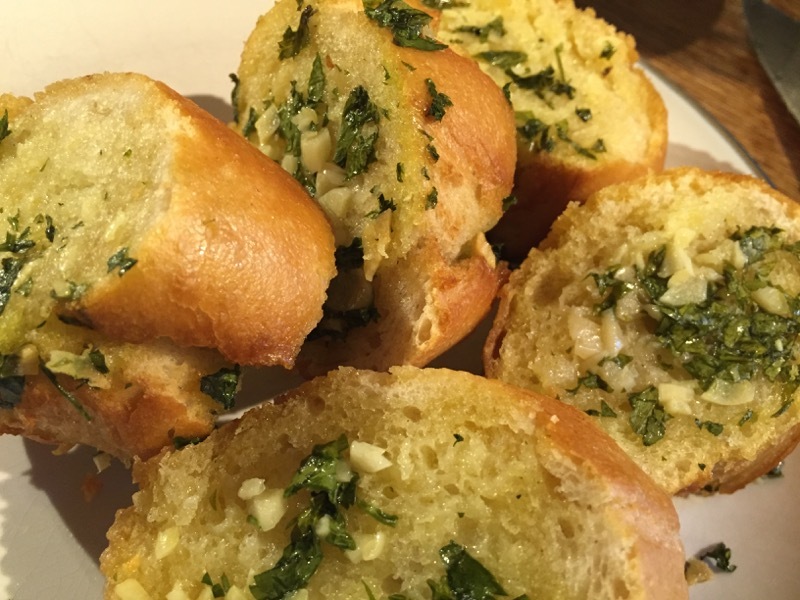 Well, I’m committed to making all the recipes in the book, and this one really is no hardship – I mean, garlic bread is delicious. 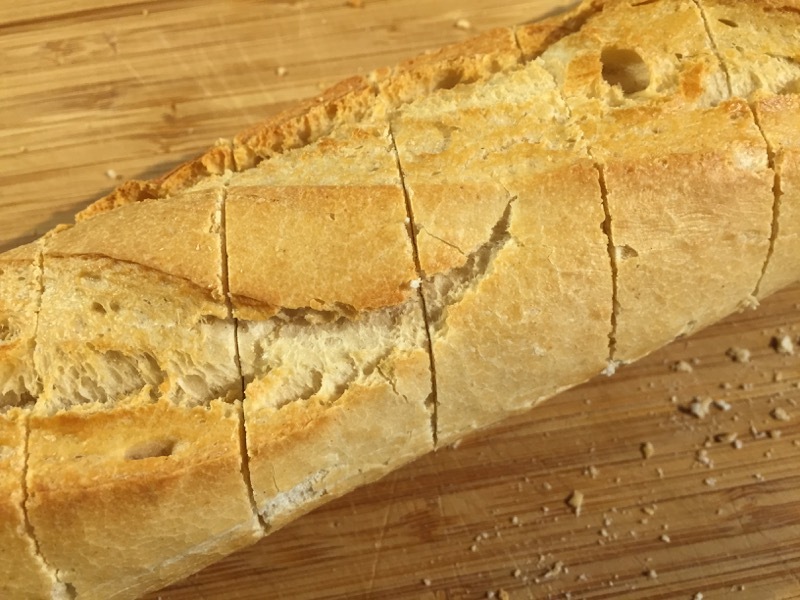 I cut the baguette into thick slices, being careful not to cut all the way through. 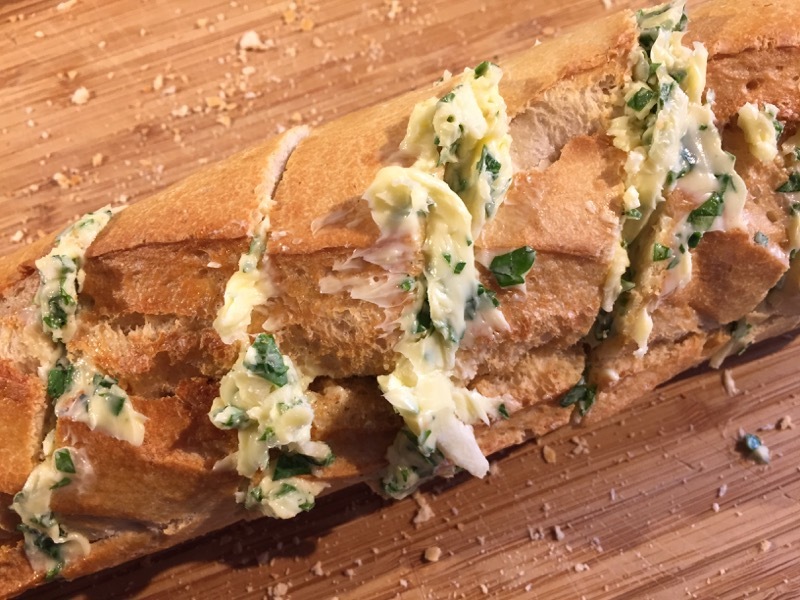 Then I mash the butter, garlic and parsely together and push it into the cuts in the baguette. 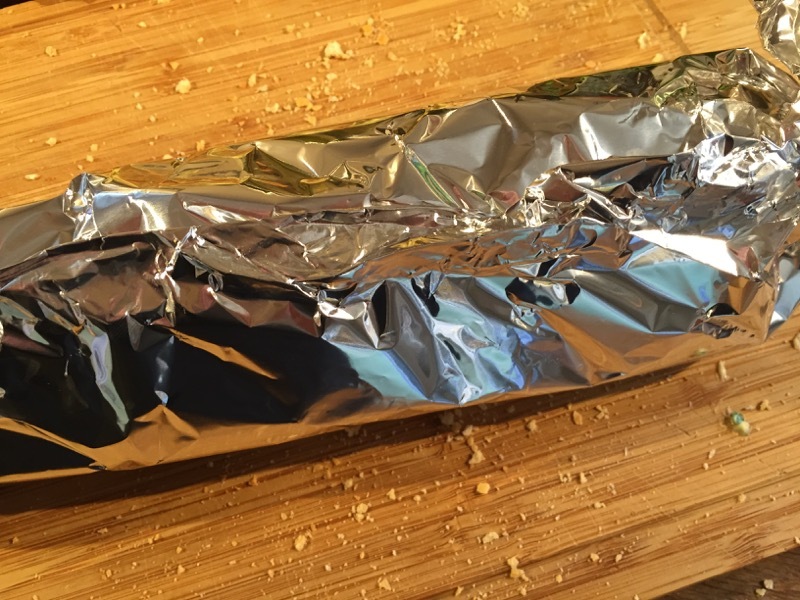 I wrap the whole thing in tin foil. 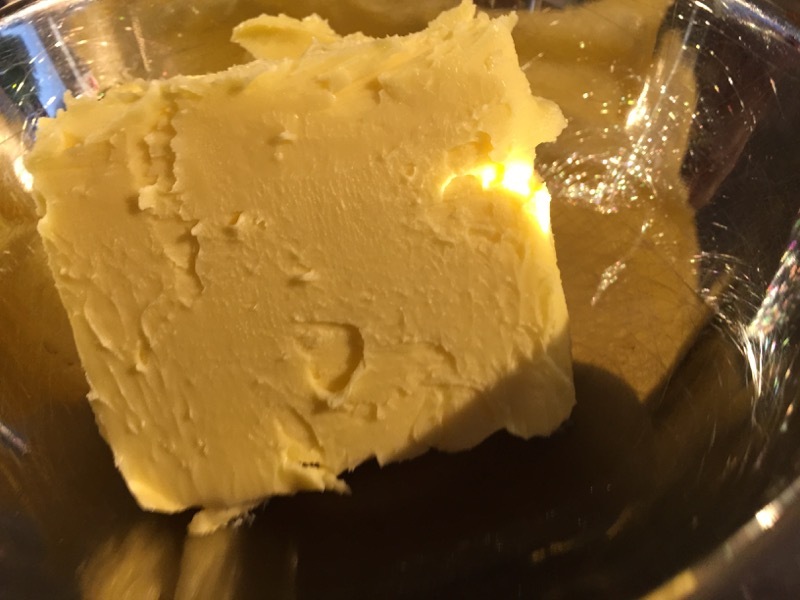 And bake in the oven for ten minutes. I love garlic bread. It’s delicious. This one was no exception. What more can I say? 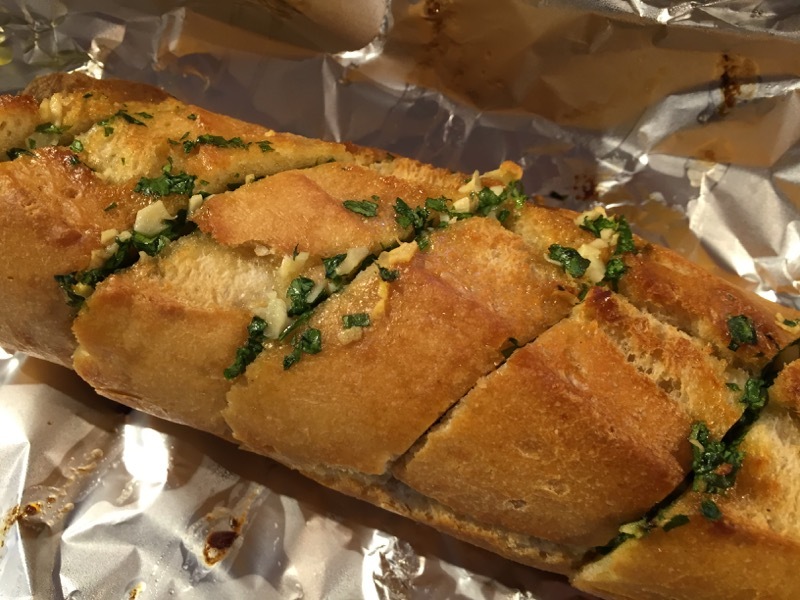 Hmmm, hot, buttery garlic bread. 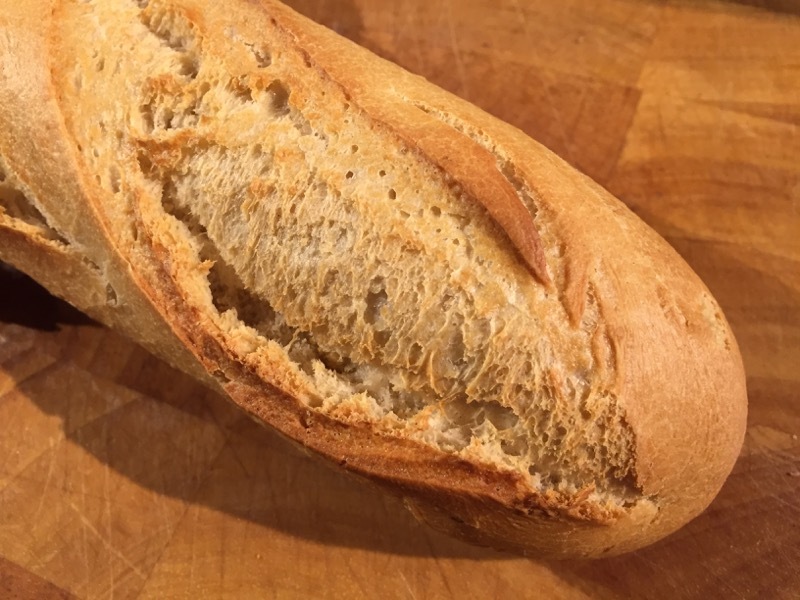 There was only one thing wrong with this tasty side dish, it was on a shop bought French Stick and these days I’m used to much nicer bread. I really do think the bread let it down. 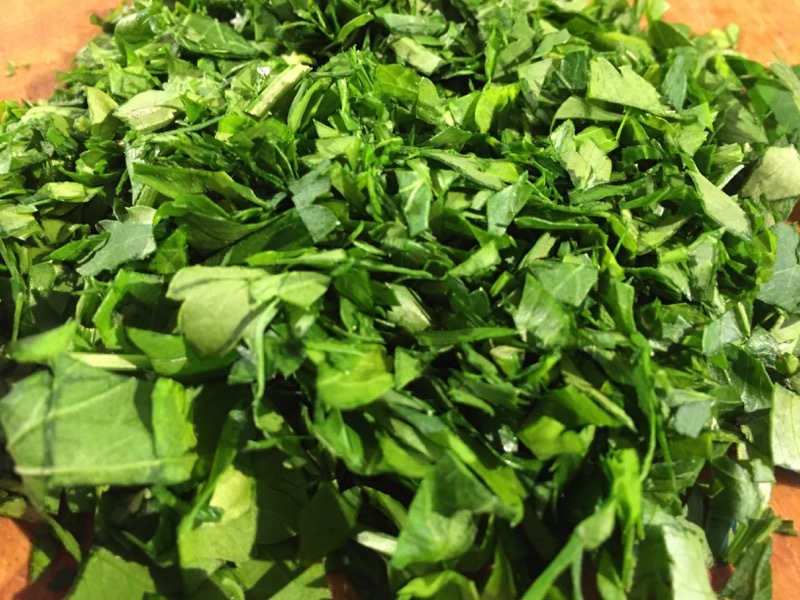 Otherwise it was lovely buttery garlic chunks and lots of parsley on hot bread. When you taste the real deal, as in most things in life, the commercially made stuff just falls into oblivion, where it should rightly stay.